Let me start with this simple fact based on an enormous amount of scientific evidence – vaccines do not cause autism. Vaccines are unrelated to autism. There is no correlation between vaccines and autism. How many different ways should we parse this? Annoyingly, there is a broad swath of vaccine deniers who continue to make this claim, despite the overwhelming amount of evidence. If this idea weren’t so dangerous to preventing diseases in children, it would be laughable. The myth that vaccines are related to autism can be squarely blamed on Mr. Andy Wakefield who fraudulently alleged a connection between the MMR vaccine and autism. Wakefield published his claims in the Lancet, a mostly respected medical journal who seemed to have forgotten how to do proper peer review. However, it was retracted by the journal, while most of Wakefield’s coauthors disavowed the findings. Predictably, this lie has had the effect of suppressing vaccination rates in many countries. Of course, given the dangerous comments about vaccines made by Republican presidential candidates, like Donald Trump, Ben Carson (ironically, a neurosurgeon) and Rand Paul (we’ve laughed at his vaccine denial before), maybe the new data would disabuse them of their science denialism about vaccines? Probably not, given that the Republican Party is mostly a science denying party. Sadly, there are a lot of science denying Democrats who agree with Trump on vaccines, unconvinced by real scientific evidence and seduced by logical fallacies. This is why we can’t have good things. Obviously, we need more investment in research that vaccines do not cause autism – maybe a recently published one will convince the vaccine deniers. In a new study, recently published in the Proceedings of the National Academy of Science of the United States of America (PNAS), multiple vaccines, both with and without the preservative thimerosal, administered to macaque monkeys on the vaccine schedule that pediatricians followed in the late 1990s, resulted in none of the key brain or behavioral changes that are often symptomatic of autism. 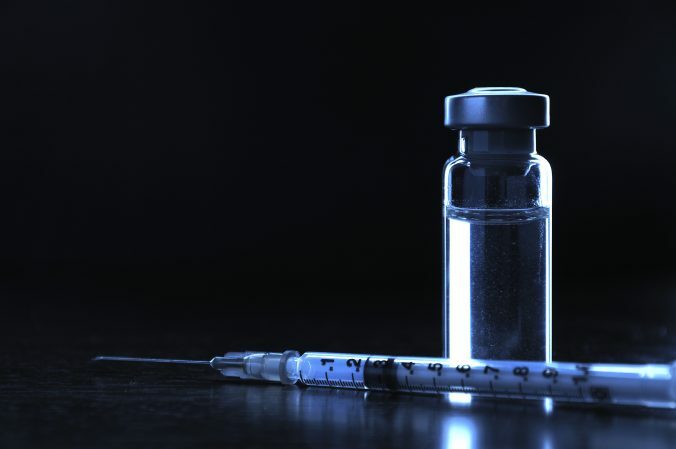 The study also examined the effects of administering the MMR (for measles, mumps and rubella) vaccine, which has never contained thimerosal, and found no evidence of changes in brains or behavior that would indicate an autism spectrum disorder. The study also combined several different older and newer vaccines, and found that they were neither a cause of nor a contributor to any autism symptoms. This latest research provides even more evidence that there is absolutely no link between autism and vaccines. Furthermore, there is the same lack of a link between autism and thimerosal containing vaccines. Just to provide some historical context, use of the thimerosal (an ethyl-mercury preservative, which isolates the mercury biologically from the body) in children’s vaccines was largely phased out in 2001. The preservative is still used in multi-use vials (that is, vials of vaccine that contain more than one dose, usually 5-10 doses), such as adult flu vaccines. This study examined 79 male infant rhesus macaques – Old World monkeys whose physiology and brain development is very similar to human infant development and can stand in for humans in a study of this sort. One group of macaques got placebo injections (saline). Another group received vaccines typically recommended for American children in the early 1990s, when thimerosal was the typical preservative in vaccines at that time. Another group got the vaccines recommended in 2008, which is close to the one used today. The researchers examined the behavior of the macaques at ages 12-18 months, which is a developmental stage similar to a 4 year old human. This is the age when autism symptoms usually begin expressing themselves. All of the macaques, both those who received the vaccines and those who got the placebo, developed a normal range of behaviors. And none exhibited autism-like behaviors such as rocking, self-clasping and repetitive actions. Moreover, the vaccinated macaques did not exhibit the key hallmarks of autism. In post-mortem analysis of the brains of both the placebo and vaccine macaques, the researchers found none of the differences observed in post-mortem brain morphology between autistic and non-autistic children. As I’ve written before, I’m not necessarily a fan of animal studies. However, my skepticism of animal studies are usually of mouse or rat studies that may (more like probably) not have any relationship to humans. However, primate studies, especially using a genus whose developmental physiology is parallel to human infants, significantly lessens my concerns. This study also allows us to use a placebo as comparison, a type of study that is highly unethical in humans. We just cannot withhold lifesaving (or disease preventing) medicine for a placebo group, to examine if these children contract some pathogenic disease and then die. This is a point that almost all vaccine deniers seem to miss. Furthermore, the researchers can perform post-mortem of the brains of all of the test monkeys (look, I know that makes some people squeamish, but again, we can’t do this to humans). This gives us more than behavioral data, but also actual anatomical data. Lastly, some may point out that the total number of subjects in this study is small. That is a fair point, but we have much more control over confounding factors using a primate model. The food is equal. The environment is equal. Nearly everything is the same between all of the subjects, something that is impossible with humans. So with fewer confounding factors, lower numbers mostly can still give us powerful statistical sound data. This is more powerful evidence that vaccines are unrelated to autism. Powerful evidence that thimerosal never was related to autism. Powerful evidence that vaccine deniers have got to stop yelling about vaccines causing autism. Well, I’m pretty sure that the Republican presidential candidates will not stop using this trope, but I can hope. And for those of you who might think that vaccines cause autism? Now you have some robust and clear evidence that vaccines do not cause autism – while knowing that vaccines save the lives of children. Kemper TL, Bauman ML. The contribution of neuropathologic studies to the understanding of autism. Neurol Clin. 1993 Feb;11(1):175-87. PubMed PMID: 8441369.